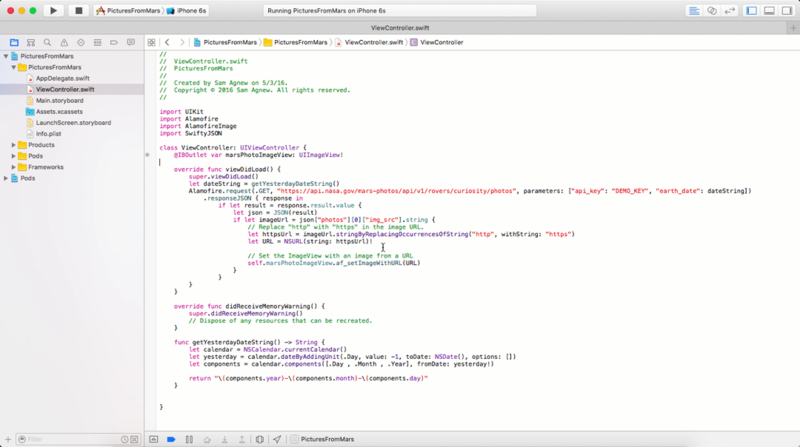 Third party libraries are often a necessity when building iOS applications. Carthage is a ruthlessly simple tool to manage dependencies in Swift. 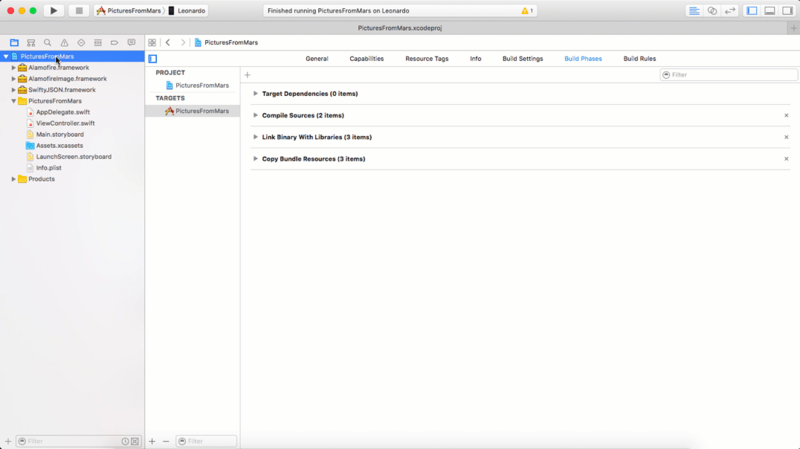 At this point, many iOS developers might be wondering how Carthage differs from CocoaPods which is another dependency manager for iOS described a recent tutorial tutorial. Carthage emphasizes simplicity, described in this Quora answer by a Carthage collaborator. Unlike CocoaPods, which creates an entirely new workspace, Carthage checks out the code for your dependencies and builds them into dynamic frameworks. You need to integrate the frameworks into your project manually. Let’s build an app that will display a recent picture taken on Mars using this NASA API with Alamofire to send HTTP requests and SwiftyJSON to make handling JSON easier. 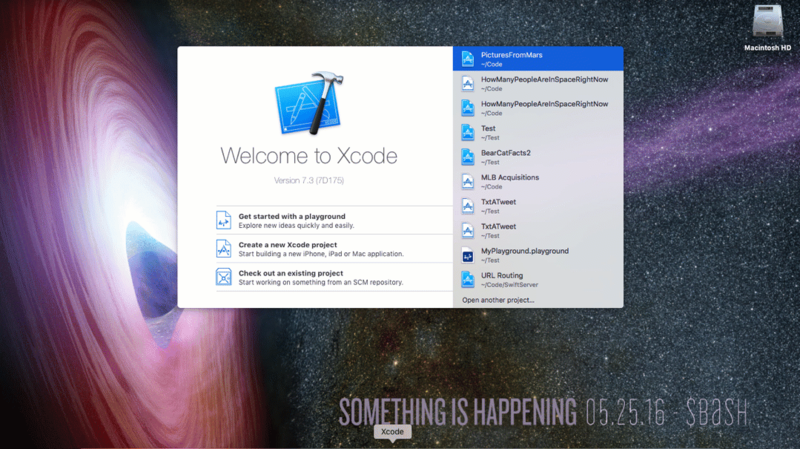 I will be using Xcode 7.3 and Swift 2.2 for this tutorial. The three dependencies we are using are Alamofire, SwiftyJSON and AlamofireImage to load an image from a URL. This is where things start to really differ from CocoaPods. 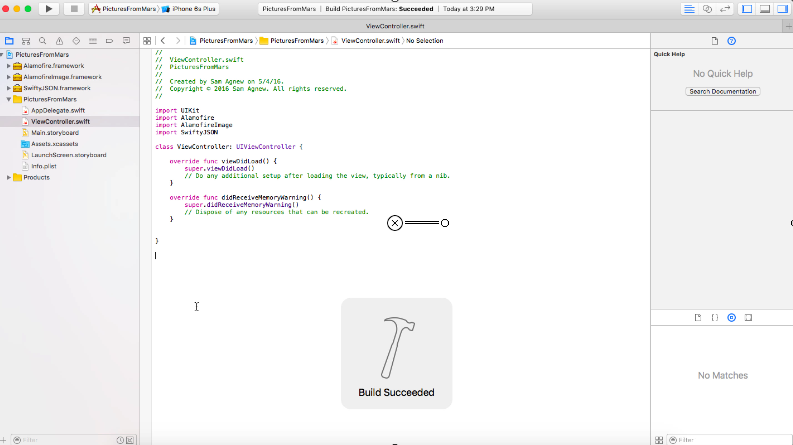 With Carthage, you need to manually drag the frameworks over to Xcode. 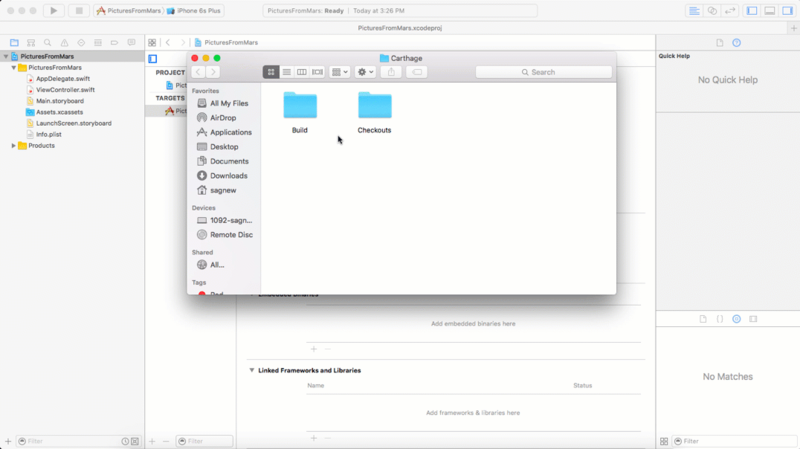 Open your project in Xcode, click on the PicturesFromMars project file in the left section of the screen and scroll down to the Linked Frameworks and Libraries section in Xcode. Now your Swift code can see these frameworks, but we need to make sure the device that the app is running on has them as well. In your project settings, navigate to your “Build Phases” section. 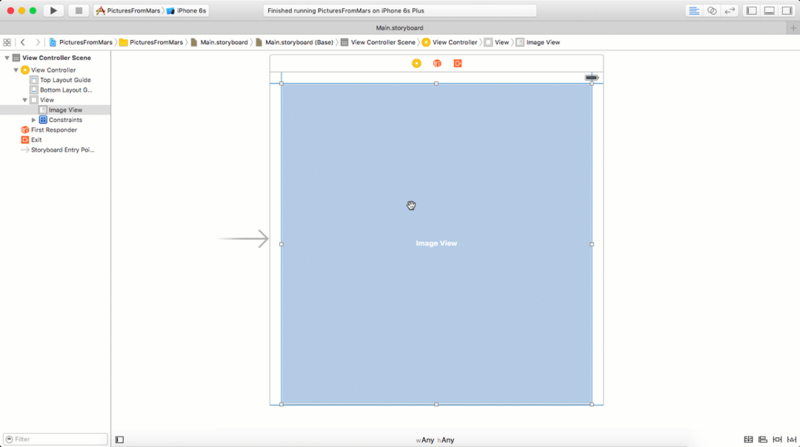 We have a UIImageView but no way to control it. 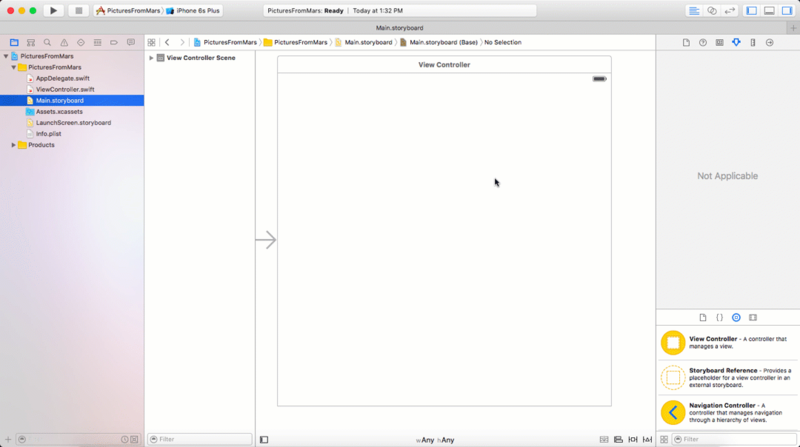 Create an outlet for it in ViewController.swift called marsPhotoImageView. 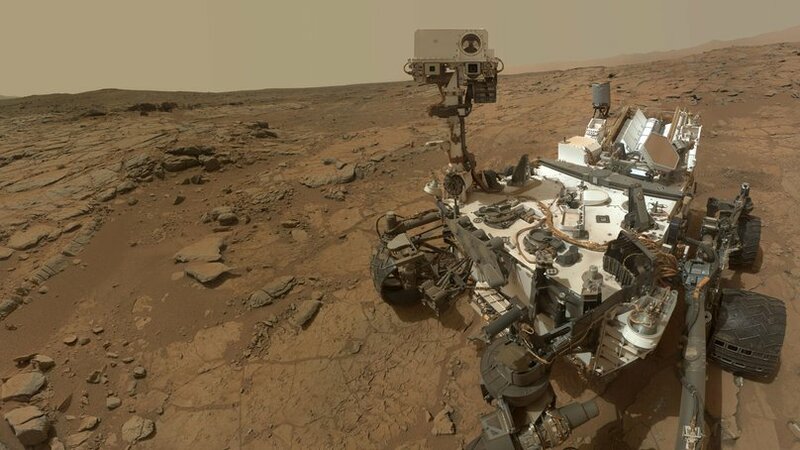 The app will grab a picture from Mars taken on the most recent “Earth day” from NASA’s API for the Curiosity Rover and will load that image in our UIImageView. With this taken care of, we can send a request to the Mars Rover API, grab an image URL and load it in the marsPhotoImageView. Alamofire and SwiftyJSON are installed and imported in our code. 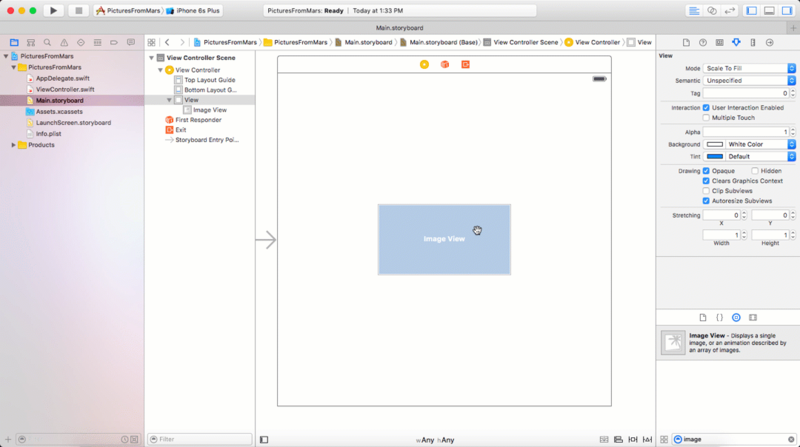 All we need to do now is send a GET request using Alamofire to receive an image URL that we will use to load our UIImageView’s image property. // Replace "http" with "https" in the image URL. let URL = NSURL(string: httpsURL)! Notice that we are replacing the http in the URLs with https because we can only send requests to secure URLs by default. Run the app in the simulator and check out the latest picture from the Mars Rover! There are a ton of APIs out there that you now have access to using Carthage to manage dependencies. Twilio has some awesome APIs if you want to add Video chat or in app chat to your iOS app. I can’t wait to see what you build. Feel free to reach out and share your experiences or ask any questions.